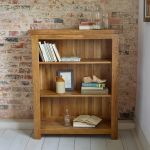 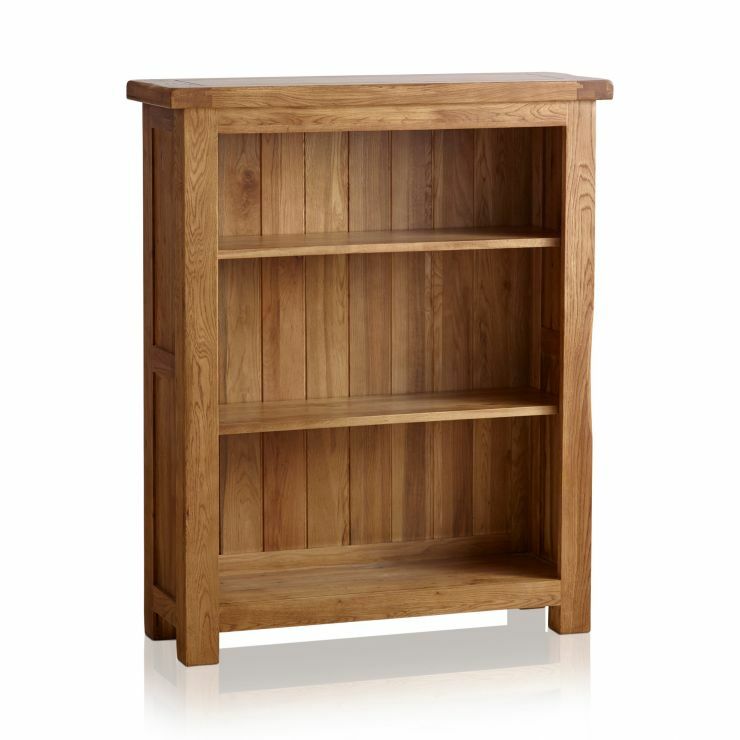 The Original Rustic Solid Oak Small Bookcase has a traditional, farmhouse appearance which will grace modern and more classically decorated homes alike. 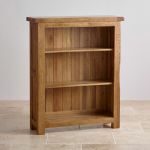 Made from beautiful solid oak, it features a slightly darker colouring to our other oak ranges, which is achieved by applying lightly stained wax to the timbers. 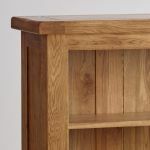 This antiqued appearance is complemented by the rustic design - characterised by softly rounded corners, chamfered edges and eye-catching inlaid grooves. 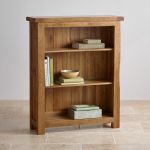 The bookcase offers three small shelves to display your prized book collection, DVDs, CDs or games. 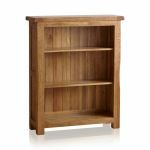 We never skimp on materials and we never use chipboard, veneers or MDF in any of our products - even the back of this small bookcase is high quality solid oak. 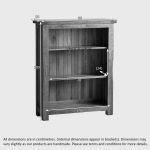 Don't forget that delivery is absolutely free.